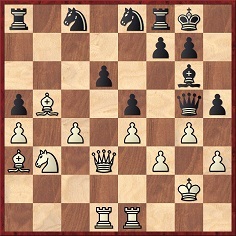 47...Bxe4 48 Nd2 Bd5 49 Bd3+ g6 50 Ne4 Bxe4 51 Bxe4 f5 52 Bg3 Qc1 53 Rd7 fxe4 54 Rxe7+ Kg8 55 fxe4 Qb2+ 56 Bf2 Qb4 57 Rxe5 Qxa4 58 h4 Qa1 59 Rg5 Qf6 60 Be3 Kh7 61 h5 gxh5 62 Rxh5+ Resigns. As regards the concluding reference to the Palo Alto Times, California, is it possible to find the game in that publication? 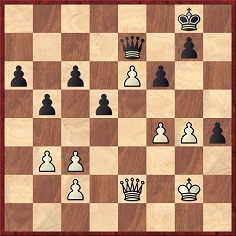 This is at variance with the information in the second cutting above (ostensibly the same column, although all 62 moves were given there), and there is a discrepancy over Simkins/Simpkins. 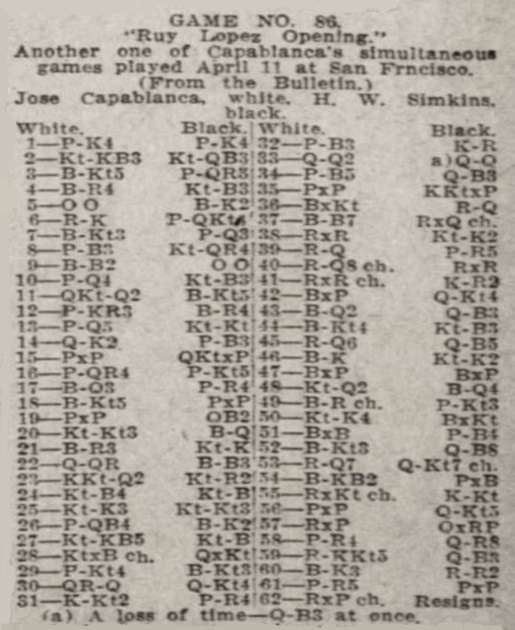 Chess sources of the time had ‘Simkins’, and Mr Killoran has found on page 2 of the Daily Palo Alto, 15 April 1914 a chess news item which mentions ‘H.W. 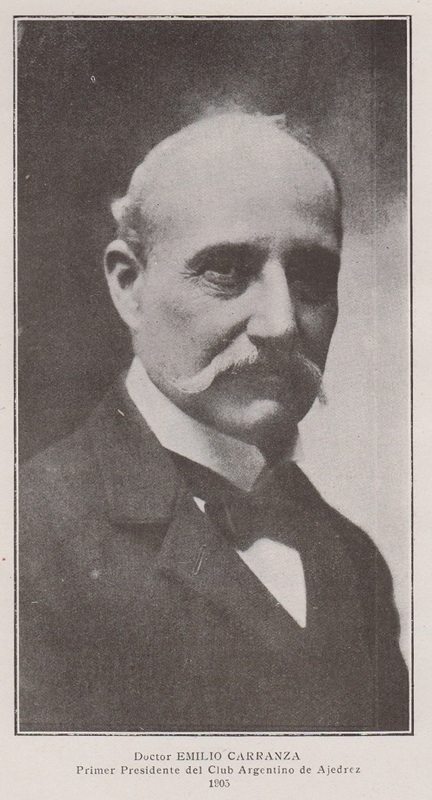 Simkins, editor of the Palo Alto Times’. Our correspondent also reports that the 1891-92 register of the Leland Stanford Junior University, Palo Alto has an entry for a student named Henry Walter Simkins. 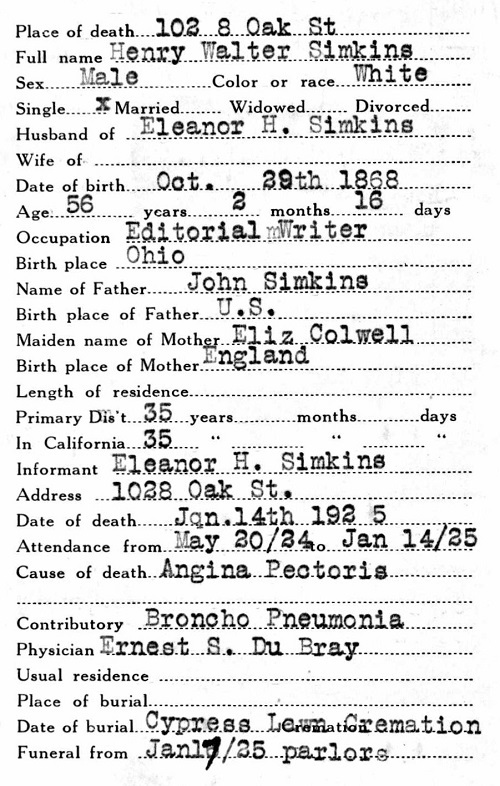 Further information from ancestry.com: California, San Francisco Area Funeral Home Records, 1895-1985 (on-line database). 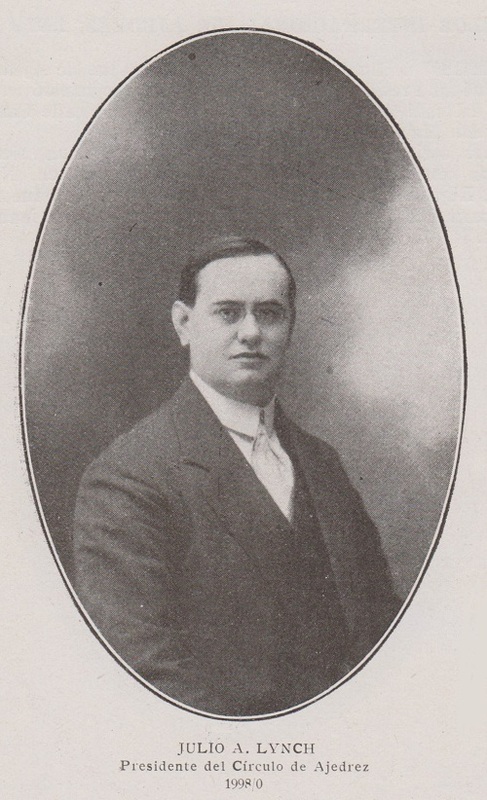 In time for publication of Wallis’ book later that year, the composer was identified: A.W. Daniel. 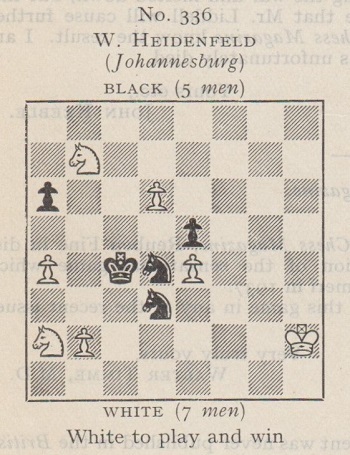 See page 57 of 777 “Chess Miniatures in Three”; the solution, 1 Qb3, was on page 262 of Wallis’ book. 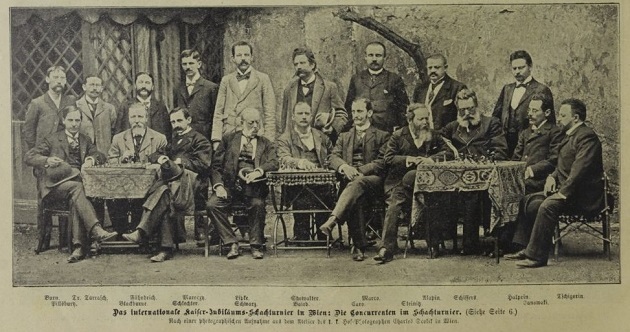 From early 1886 until Easter 1888 Lasker attended the Realgymnasium in Landsberg (now Gorzów Wielkopolski in Poland). 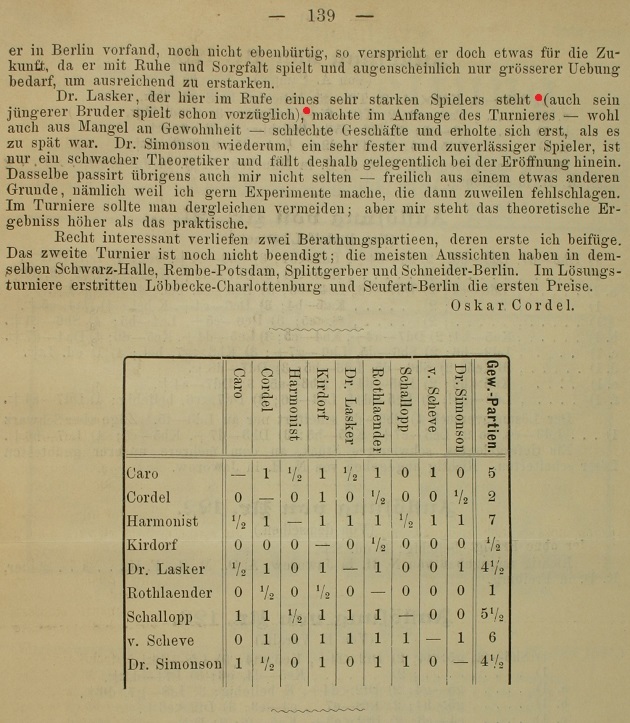 An account by his teacher Georg Kewitsch, which also mentions games played between the two, was reprinted in the Wiener Schachzeitung, September-October 1908, pages 278–279, and in several other sources, including Hannak’s monograph on Lasker. 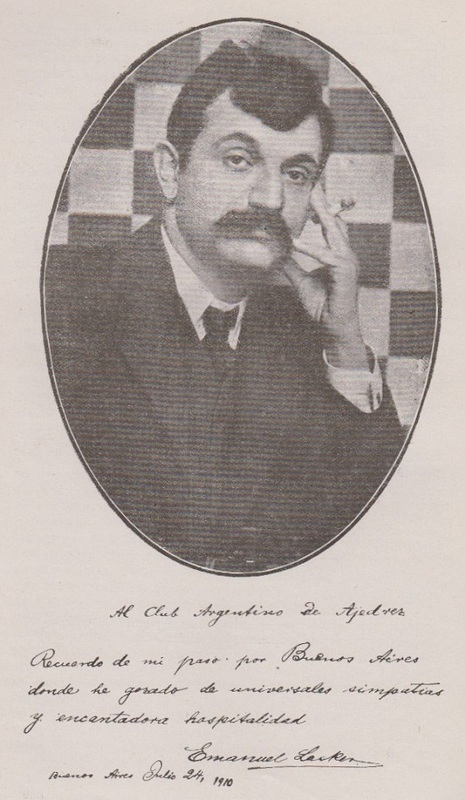 Emanuel Lasker’s first games with Siegbert Tarrasch appear to have been played in spring 1887. 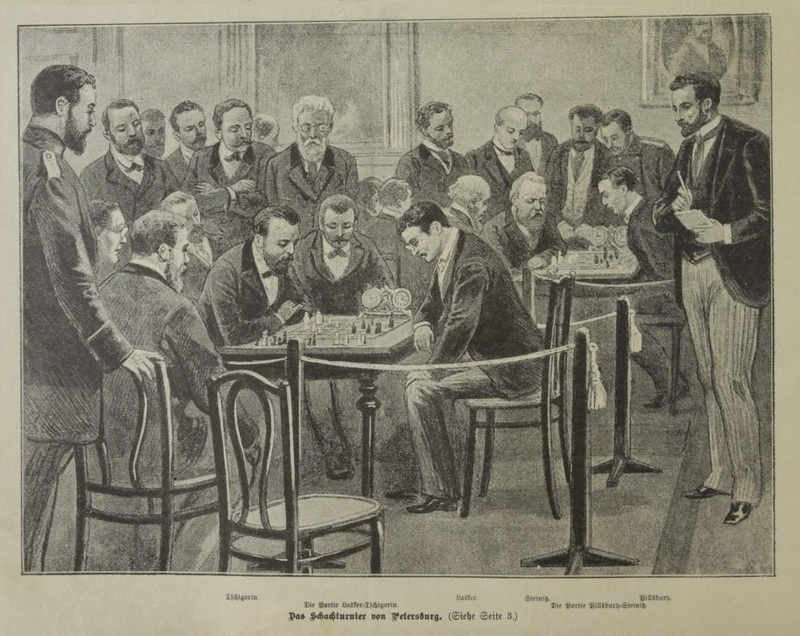 In Dreihundert Schachpartien (page 98 of the 1895 edition, page 92 of the 1909 edition and page 93 of the 1925 edition) Tarrasch wrote of a visit to Berlin in March-April 1887 during which he defeated the city’s best players. 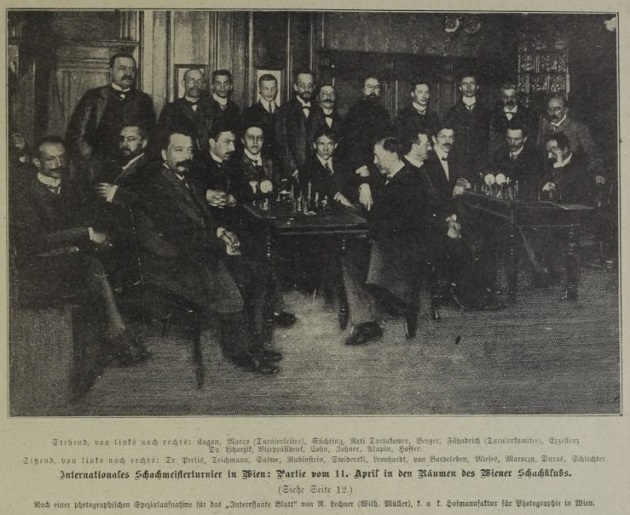 He did not mention Lasker, but in an interview with Dr Max Hauser (Berliner Schachzeitung, 1 and 16 April 1896, pages 3-7 and 18-21) Lasker himself recalled meeting Tarrasch in Berlin around that time. 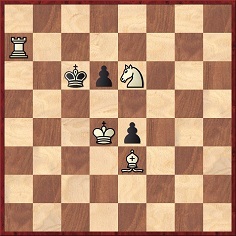 He acknowledged that Tarrasch was far stronger then, and that of two games at knight odds one was drawn and the other was won by Tarrasch after Lasker blundered a rook. 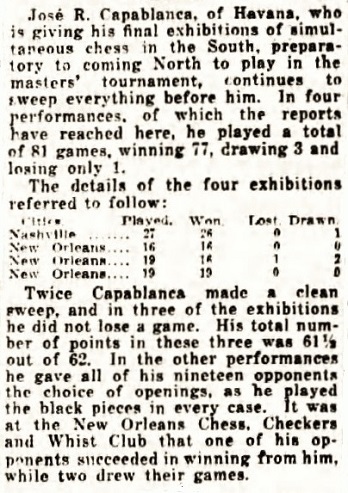 However, two subsequent games played on even terms ended with one victory each. Lasker lost the first game, but in the second ‘Tarrasch offered me a Muzio Gambit, which I accepted, and I won.’ These games took place at the Theehalle (Tea Hall) in Berlin, a favourite location of both Lasker brothers, along with the Café Royal and the Café Kaiserhof. 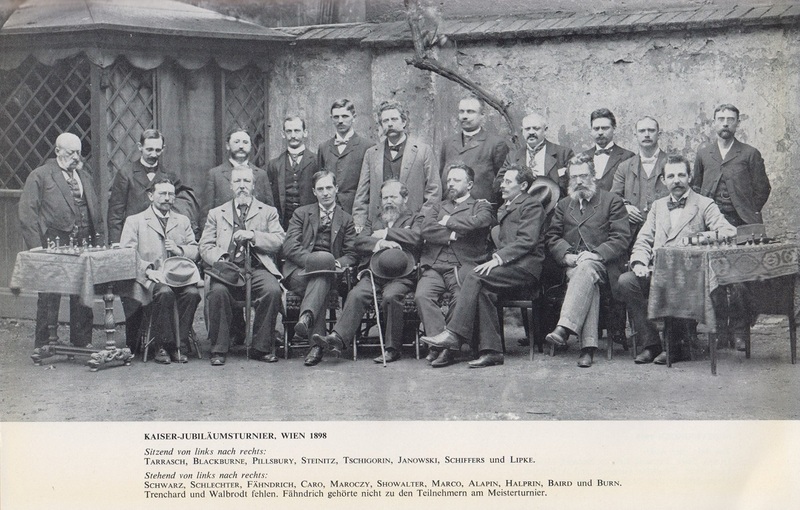 As the visit to Berlin in early 1887 was Tarrasch’s only recorded stay there in the period 1887-89, this was almost certainly the occasion to which Lasker was referring. Although Lasker himself was not based in Berlin at that time (he did not return from Landsberg until spring 1888), it seems very plausible that he spent the 1887 Easter break in the German capital. 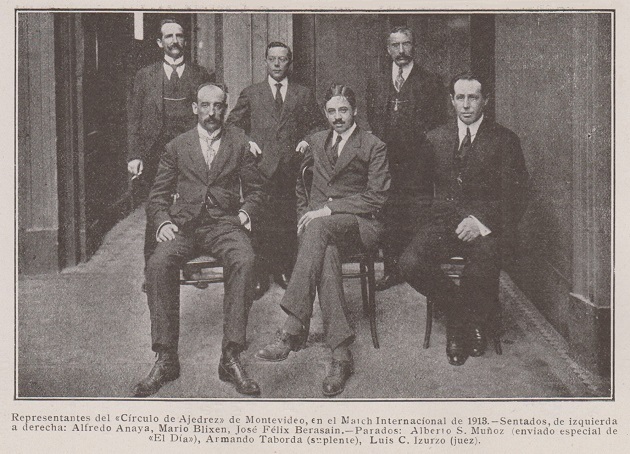 In spring 1888, after finishing school and moving to Berlin, Lasker joined the Berliner Schachklub. 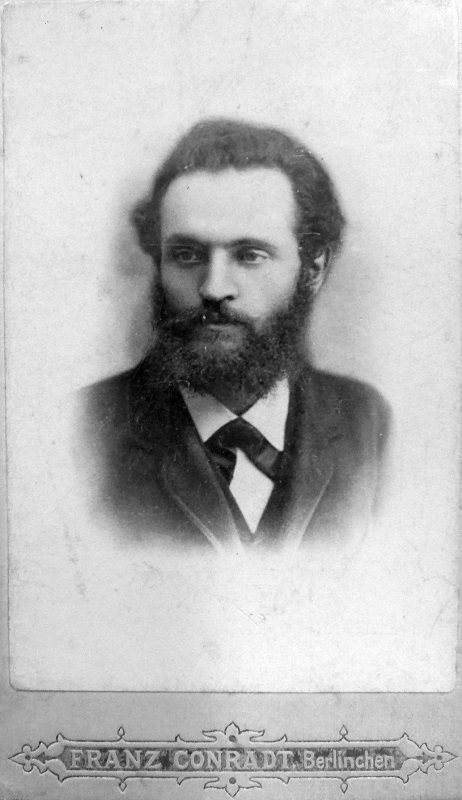 He participated in two consultation games against the more famous Berliner Schachgesellschaft, one played on 29 May and 1 June and the other on 26 and 29 June 1888, and the scores were given in the Deutsche Schachzeitung, September 1888, pages 270-272. 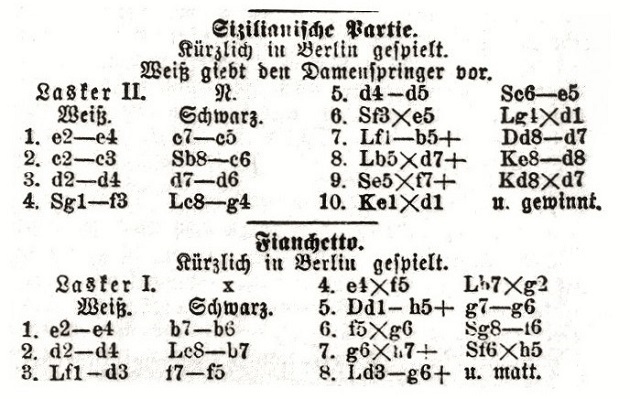 Emanuel Lasker was identified as a player in these two games in Brüderschaft, 2 June 1888, pages 177-178 (‘Lasker II, soon replaced by W. Cohn’) and 7 July 1888, pages 223-224. 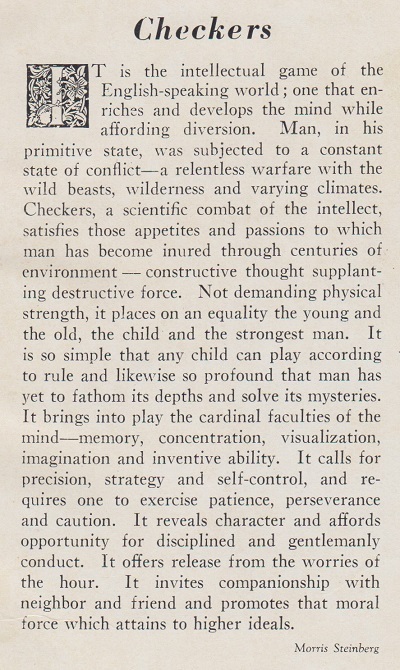 That BCM issue was misdated ‘November 1938’ in its masthead (page 529). 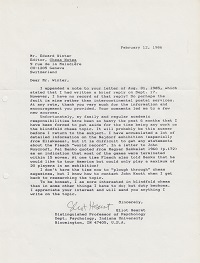 Further information is in C.N.s 3513 (included in a feature article) and 7658. 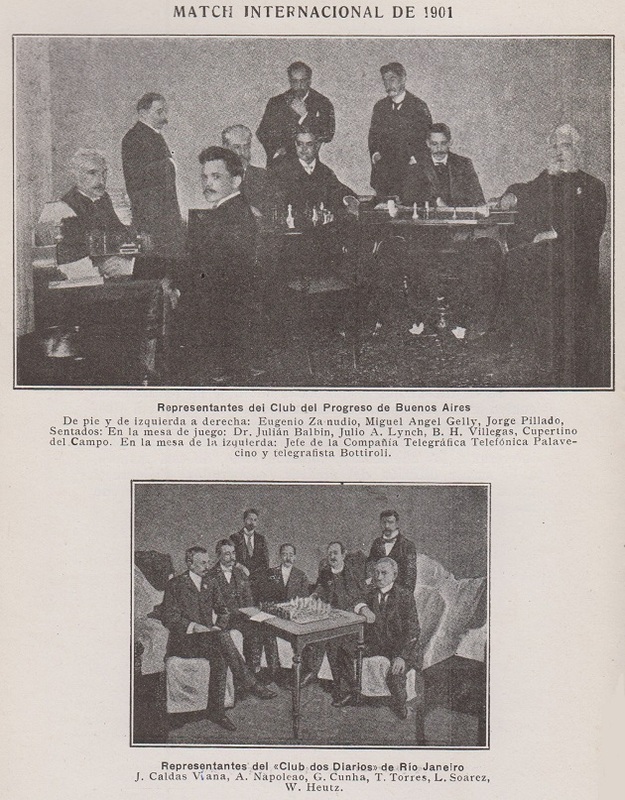 ‘An earlier reference to Emanuel Lasker with regard to chess is in the chess column of Tägliche Rundschau (Unterhaltungsbeilage), 30 March 1887, page 300, shortly before Easter 1887 (Easter Sunday that year fell on 10 April). 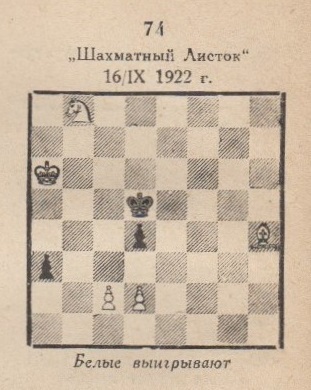 Emanuel Lasker was called “Lasker II” as in Brüderschaft in 1888. ‘Dedicated to the Gentlemen of Toronto. 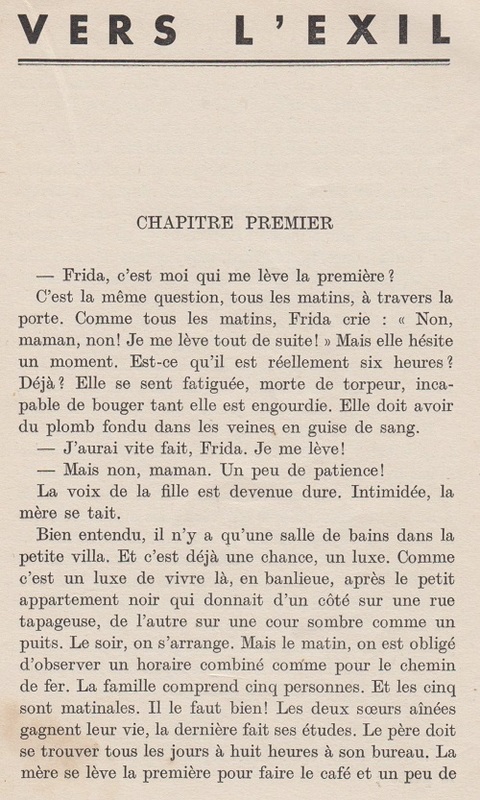 By R.D. Mercer, of London, England. Author of the “Judy” and “Stella” Problems and games. 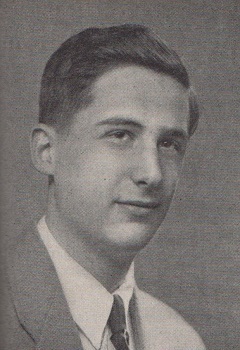 Bobby Fischer: The Later Years (1963-2008) (2017). Another Kindle work (2015) is John Donaldson’s A Legend on the Road: Bobby Fischer’s 1964 Simultaneous Tour. 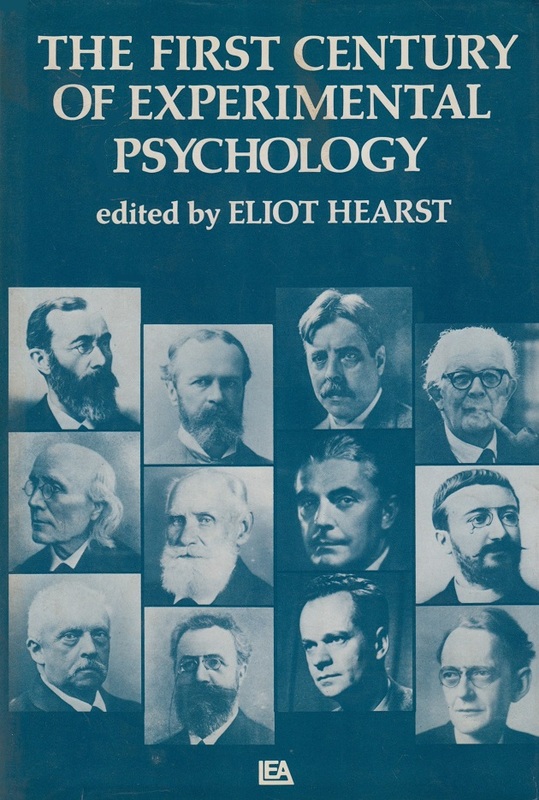 It is roughly twice as large as the second edition of the hard-copy book (Milford, 2005). 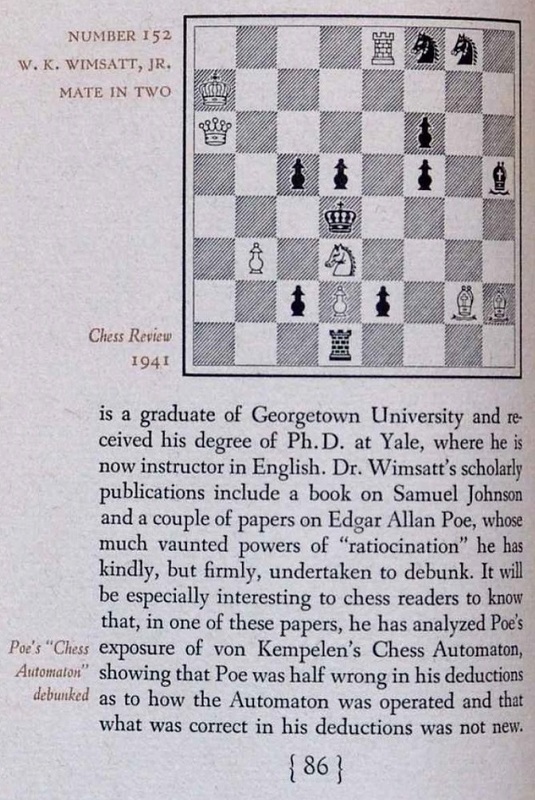 Kindle books will not be added systematically to our bibliographical articles (the others being Capablanca/Alekhine, Keres/Tal, Korchnoi/Karpov and leading modern chessplayers), but proposals for especially worthwhile additions are always welcome. 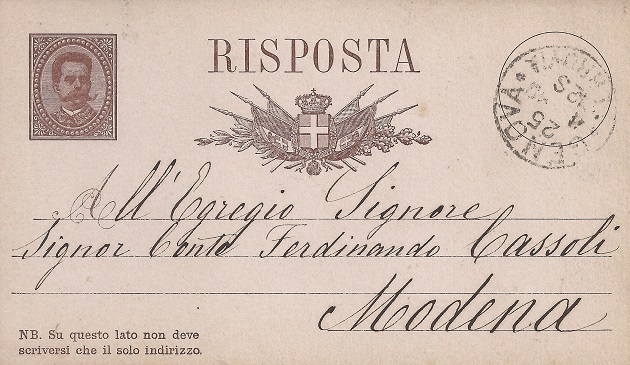 However, such listings will try to remain exhaustive as regards hard-copy books, irrespective of quality, for the bibliographer’s task is to catalogue all relevant tomes, masterpieces and potboilers alike, without discrimination. 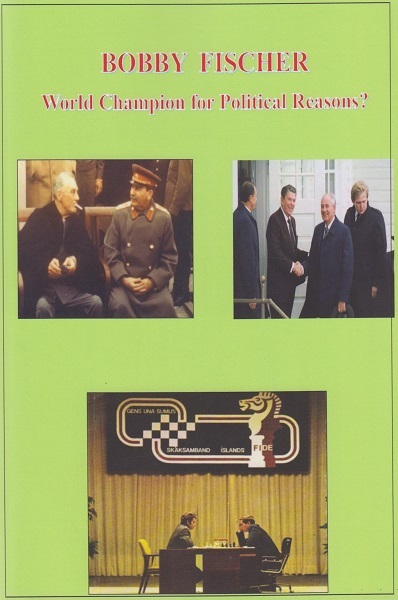 Consequently, to the list of books on Fischer we must add, à notre corps défendant, an undated volume just acquired, Bobby Fischer World Champion for Political Reasons? 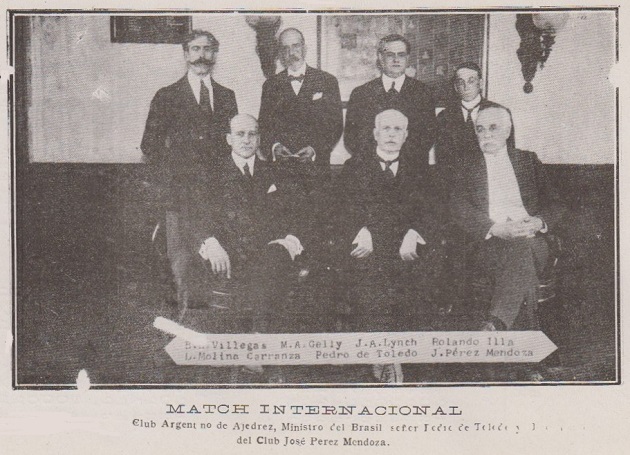 by Julio Hidalgo. 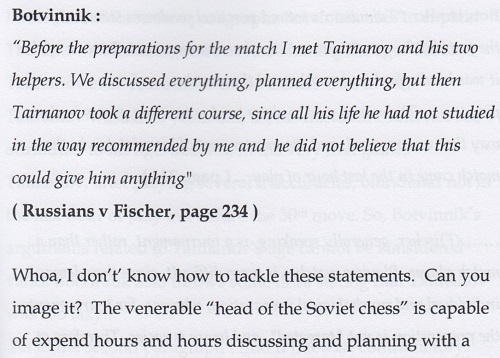 Another chapter, over half-a-dozen pages long, consists almost exclusively of text from Kasparov’s Child of Change. Euwe is a casualty too. 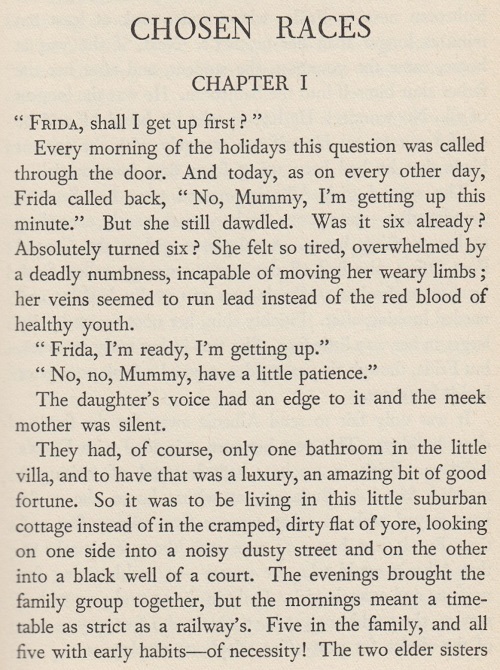 The ‘some paragraphs’ occupy six pages. 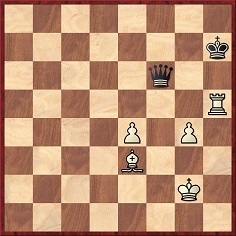 Garry Kasparov remains the chief victim of the Fischer book, but in any such case what chance of corrective action exists? 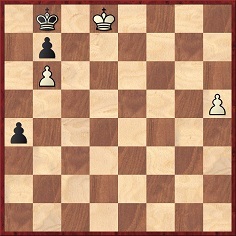 How one longs for Kasparov to take a public stand, also supporting fellow victims of rapacity. 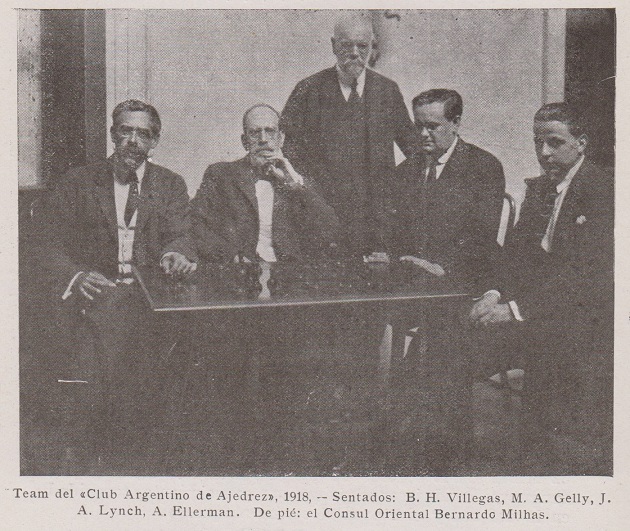 The above photograph, from page 191 of The Graphic, 7 February 1925, was shown in C.N. 10302. Arthur Larrue (Lisbon) informs us that the Gallica website has a different shot, of high quality, taken at the same locale. It will be noted that, compared to the diagram in C.N. 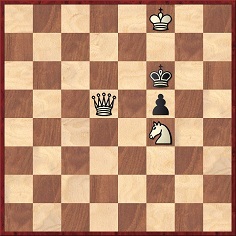 10728, all the units are one rank closer to White’s side of the board. 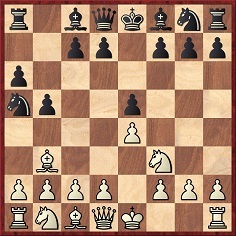 1 e4 e5 2 Nf3 Nc6 3 Bc4 Bc5 4 Castles (Kh1, Rf1) d6 5 c3 Nf6 6 d3 h6 7 h3 Bb6 8 Be3 Ne7 9 b4 Ng6 10 a4 c6 11 Bxb6 Qxb6 12 Ng1 Nf4 13 Qf3 Qd8 14 d4 g5 15 dxe5 dxe5 16 Rd1 Qe7 17 Qe3 g4 18 h4 g3 19 fxg3 Ng4 20 Qe1 Nh5 21 Nf3 Castles (Kh8, Rg8) 22 Nbd2 Ngf6 23 Nf1 Rg4 24 Qd2 Kg7 25 Qd8 Qxd8 26 Rxd8 Nxe4 27 Bxf7 Kxf7. If 28 Nxe5+ Ke7 (Cuniali). 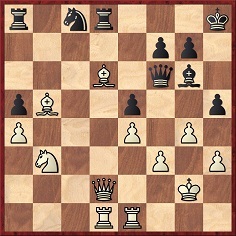 1 e4 e6 2 Nf3 c5 3 d4 cxd4 4 Nxd4 Nc6 5 Be3 Nf6 6 Bd3 Be7 7 O-O d5 8 exd5 exd5 9 Nc3 O-O 10 Nce2 Ne5 11 Ng3 Nxd3 12 Qxd3 Bd6 13 Ngf5 a6 14 Nb3 Ng4 15 Nxd6 Qxd6 16 g3 Qe5 17 Bf4 Qh5 18 h4 Bf5 19 Qd2 Nf6 20 f3 Qg6 21 Rf2 Rfe8 22 Nd4 h5 23 c3 Nd7 24 Kh2 Nc5 25 Rg1 Ne6 26 Nxf5. 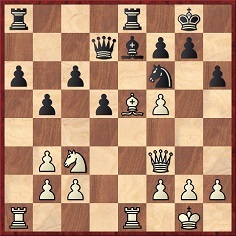 If 26...Qxf5 27 Be3 (Cunali). ‘Further to C.N. 10728, Robert David Mercer, sometimes referred to as R.D. Mercer, was for many years a silk merchant in the Spitalfields area of London. 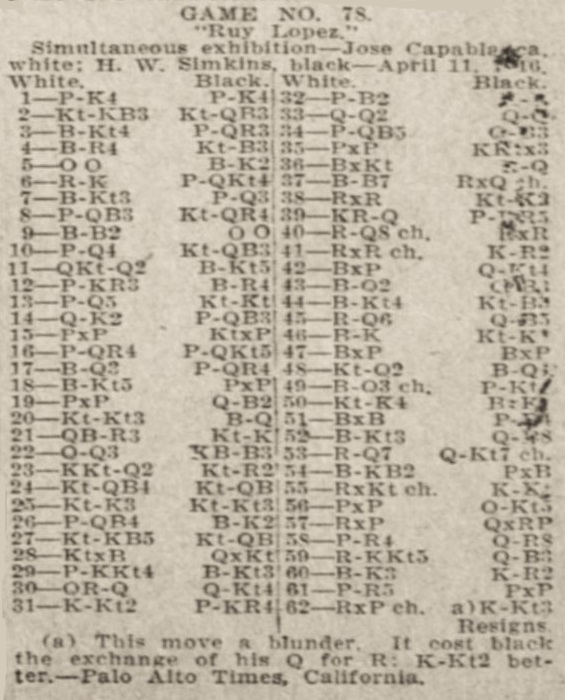 The indexes to death registrations, as shown on the website of the General Register Office, indicate that he died in the third quarter of 1883 in the registration district of Edmonton (volume 3a, page 149), his age being entered as 72. Census returns in the National Archives suggest that he was born in Dublin, and married twice, having several children. An insertion in the London Gazette of 15 July 1851 (page 1849) announced that Mercer had been declared bankrupt; he later obtained his discharge certificate. 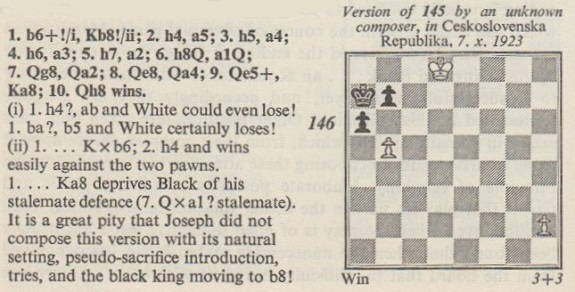 A game appeared in the Chess Player (edited by Kling and Horwitz), 1853, page 83, in which R.D. 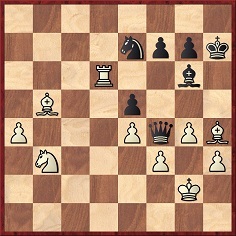 Mercer (White) gave the odds of the queen’s knight to an amateur: 1 e4 e5 2 f4 exf4 3 Nf3 g5 4 h4 g4 5 Ng5 h6 6 Nxf7 Kxf7 7 Bc4+ d5 8 Bxd5+ Kg7 9 d4 Nf6 10 Bxf4 Nxd5 11 exd5 Qxd5 12 Be5+ Kg8 13 Qd3 Qe6 14 O-O Bg7 15 Rae1 Bxe5 16 Rxe5 Qd7 17 Qg6+ Qg7 18 Re8 mate. 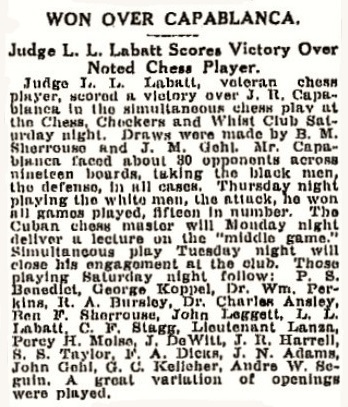 The opening, the Allgaier Gambit, is the same as was employed by Stella in a game which Rod Edwards, in his Chess Café article ‘Judy, a Forgotten Genius of the 1850s (Part Two)’, noted as having appeared in the April 1853 issue of the Chess Player’s Chronicle, page 107. 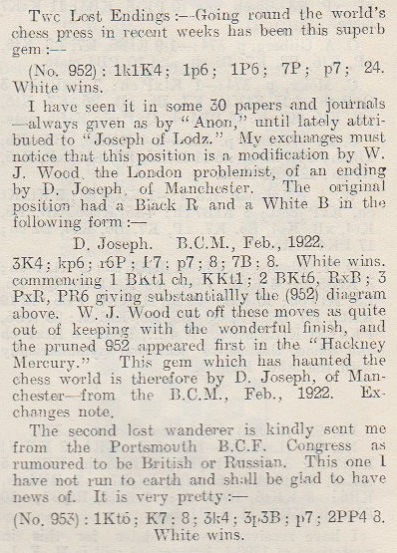 In another game, also published in the Chess Player, 1853, page 7, White was identified only as “Mr Mercer”, his opponent being “Mr Brooks”. It seems likely that this was R.D. Mercer. 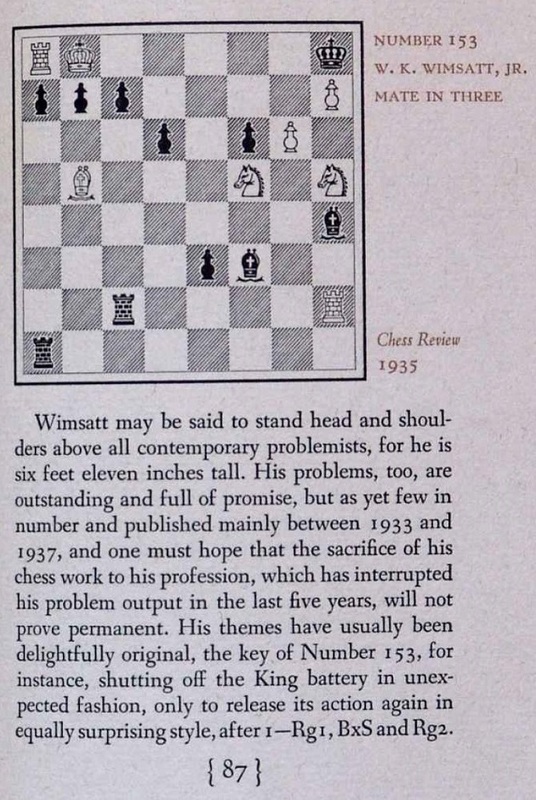 If so, the Bird’s Opening (1 f4) used by Mercer calls to mind the same opening choice of Stella in a correspondence game against Staunton which was mentioned by Chris Ravilious on page 42 of CHESS, January 2003. 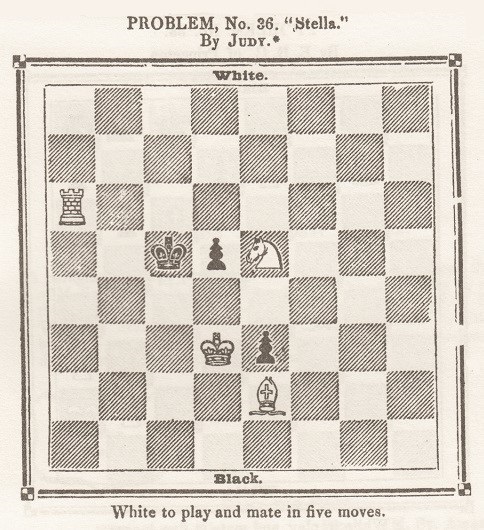 The game had appeared in the Illustrated London News of 26 January 1856, page 19. 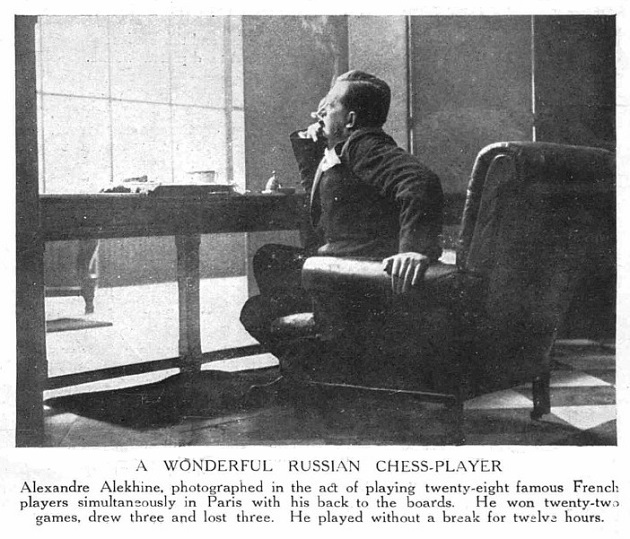 In the chess column of the Illustrated London News there are a number of references to a correspondent known as “R.D.M.” or “R D M”, who can perhaps be identified as R.D. 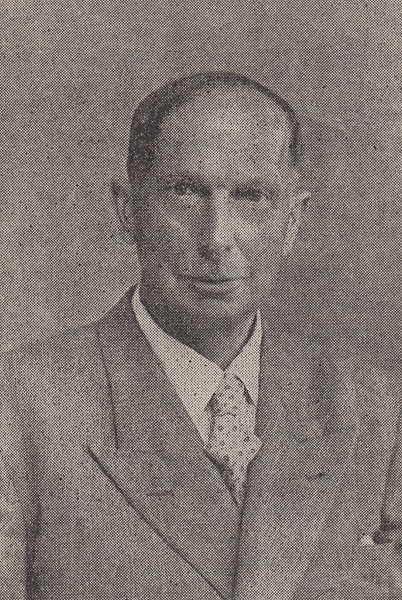 Mercer. Sometimes he is a solver. 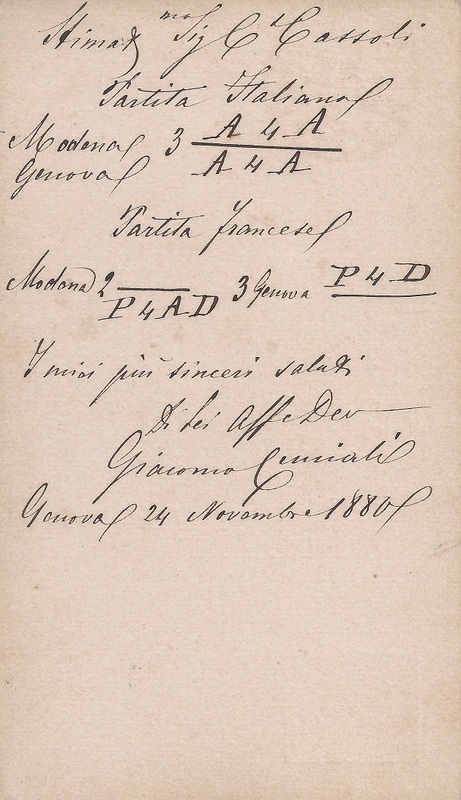 The column of 4 January 1851, page 11 has lists of correspondents credited for their correct “Solutions of Problem No. 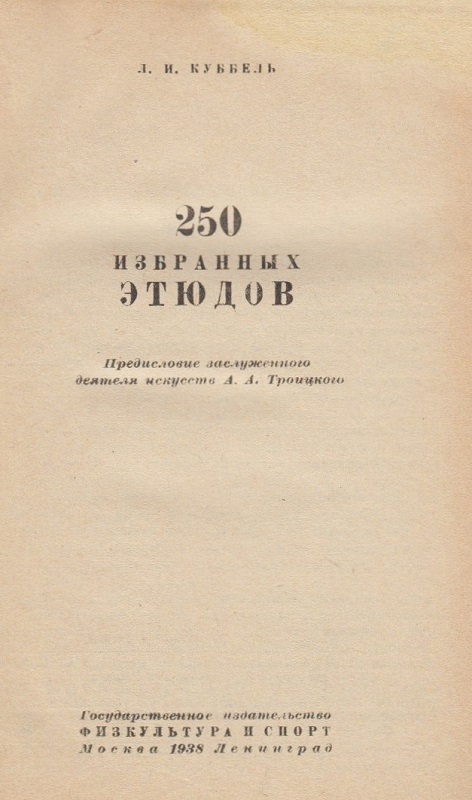 362” and “Solutions of Enigmas”, and they include both “Judy” and "R D M”. 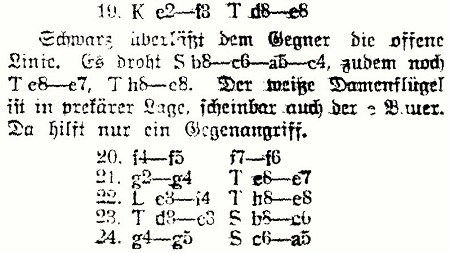 Both appear again on 7 February 1852 (page 11) in the list of “Solutions of Problem No. 419”. These lists give the impression that “Judy” and “R D M” were different people. 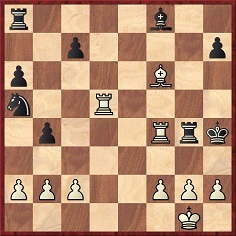 6 Bxf7+ Kxf7 7 Nxe5+ Ke7 8 d4 d6 9 Bg5+ Nf6 10 Nc3 Bb7 11 Nd5+ Bxd5 12 exd5 Ke8 13 O-O dxe5 14 dxe5 Qxd5 15 exf6 Qxd1 16 Raxd1 gxf6 17 Bxf6 Rg8 18 Rfe1+ Kf7 19 Bc3 b4 20 Rd7+ Kg6 21 Re6+ Kf5 22 Rf6+ Kg5 23 Rd5+ Kh4 24 Rf4+ Rg4 25 Bf6 mate. 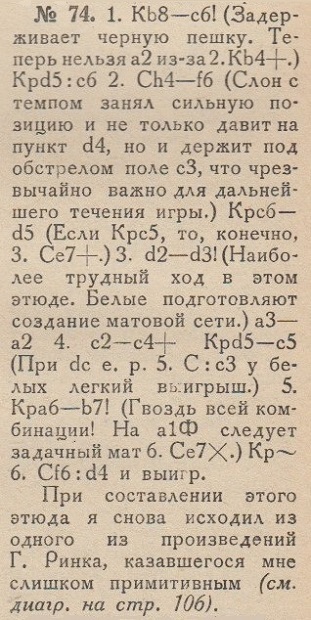 6 April 1915: +16 –0 =0. 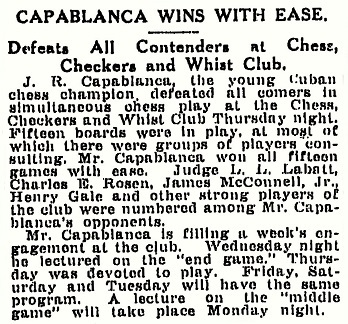 Of the two 19-board displays, only c) appears feasible for the Capablanca v Morse game, and not solely because the Cuban made a clean sweep. 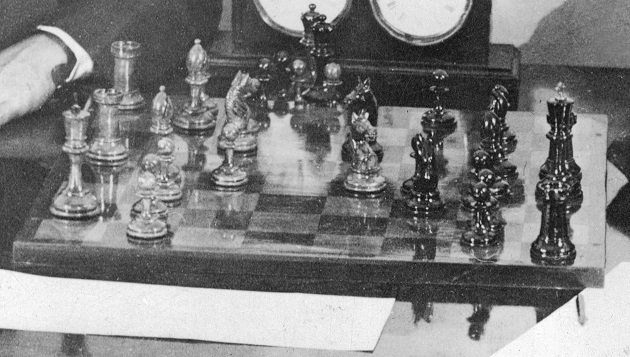 Regarding b), the American Chess Bulletin stated that Capablanca played all the games with the black pieces. It remains to be discovered what information New Orleans newspapers may have contained. 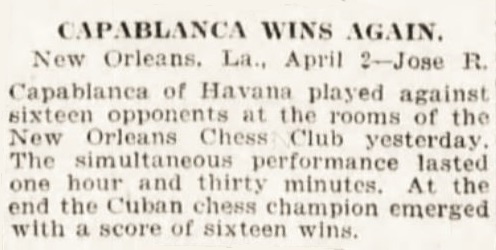 On the subject of Capablanca’s visit to New Orleans, see too the discussion in C.N. 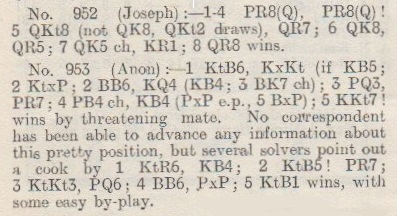 6943 related to his brilliancy against Leon L. Labatt in the third display. 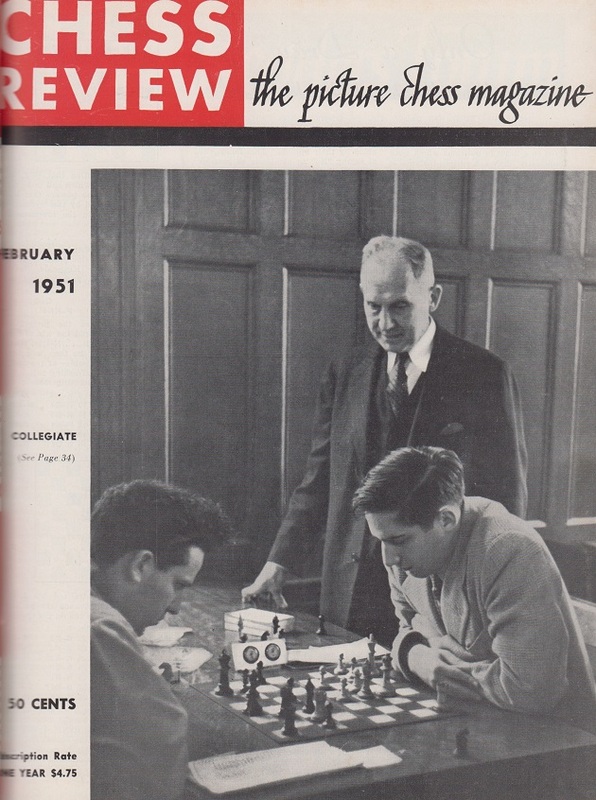 John Donaldson’s Mechanics’ Institute Chess Room Newsletter of 16 February 2018 reports the death of Eliot Hearst on 30 January 2018, at the age of 85. 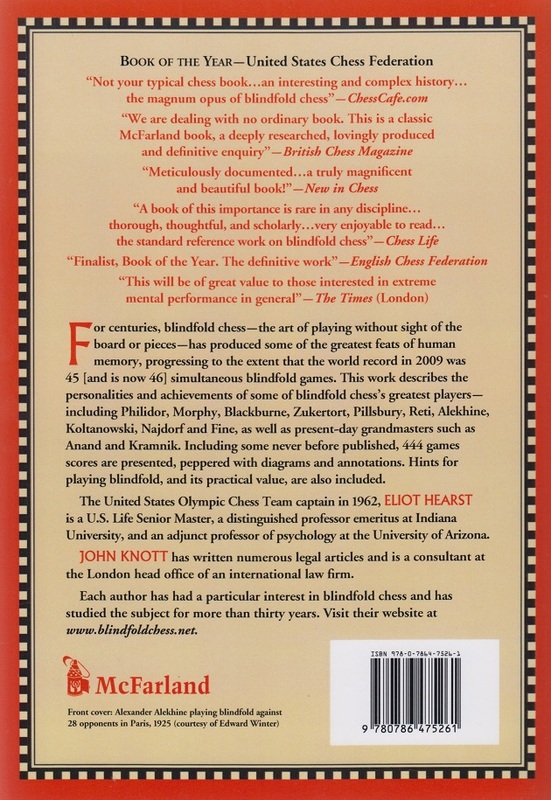 The co-authors documented updates on their Blindfold Chess website. He made a number of valuable contributions to C.N., the last being in September 2017 (C.N. 10584), and his hallmarks were kindness and intellectual rigour. 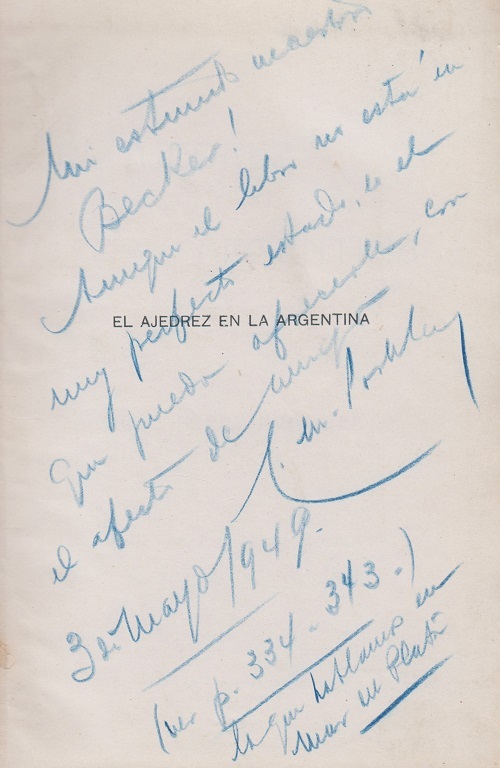 Aunque el libro no está en muy perfecto estado, es el que puedo ofrecerle, con el afecto de amigo. 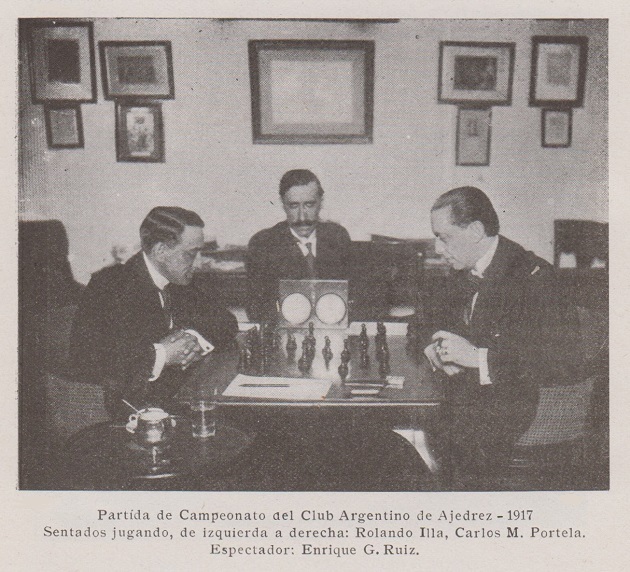 Pages 334-343 of the book, El Ajedrez en la Argentina, had two games won by Portela, against B.H. 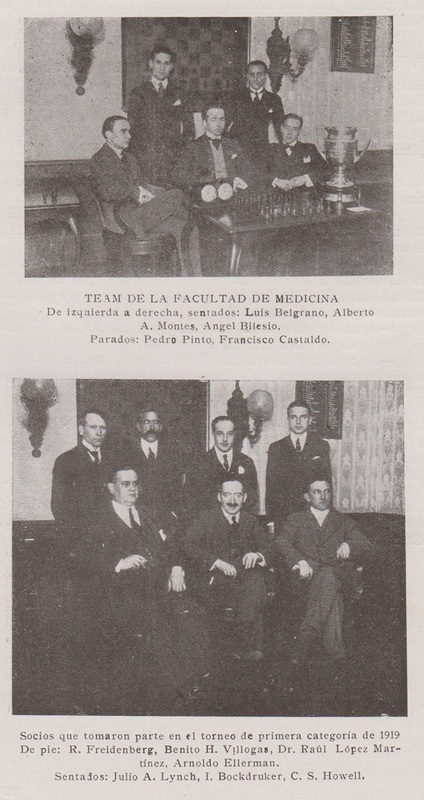 Villegas and L. Molina Carranza. It was published on page 9 of Das interessante Blatt, 16 April 1908. 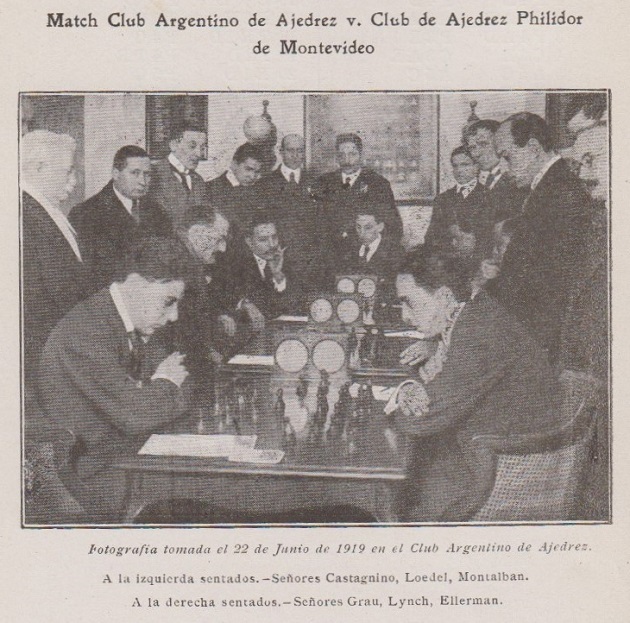 The magazine, which had some rich chess material, can be viewed on-line at the ANNO website. 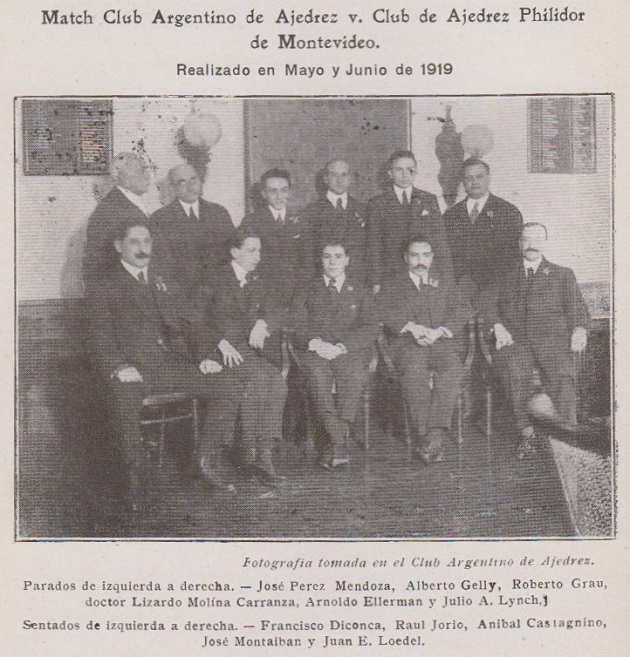 The report on the first display, held on Thursday, 1 April 1915, referred to 15, and not 16, boards, ‘at most of which there were groups of players consulting’. 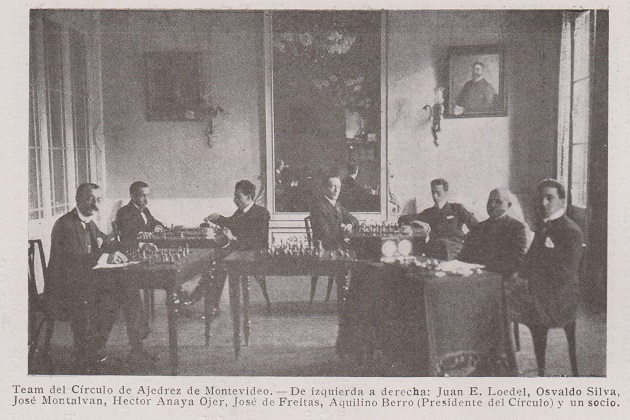 The figure 15 (which was given by The Unknown Capablanca) was repeated by the newspaper in its 5 April edition. 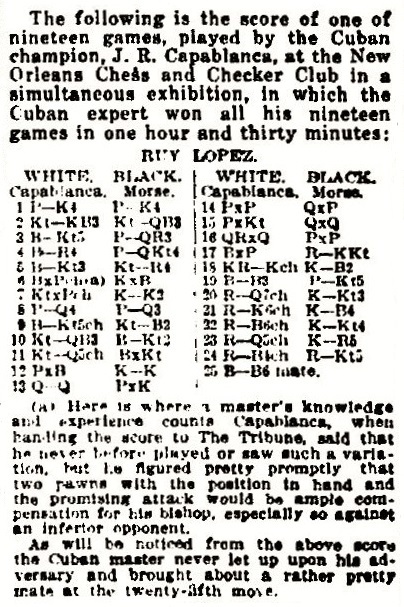 Regarding the second display, in which Capablanca played Black throughout, the Times-Picayune reported that there were 19 boards, but with 30 players consulting on them. 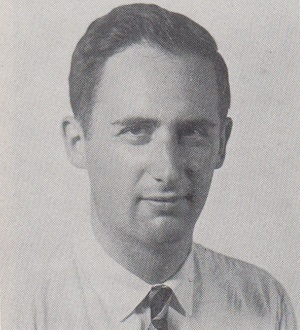 Nineteen players were named, and they included Percy H. Moise. 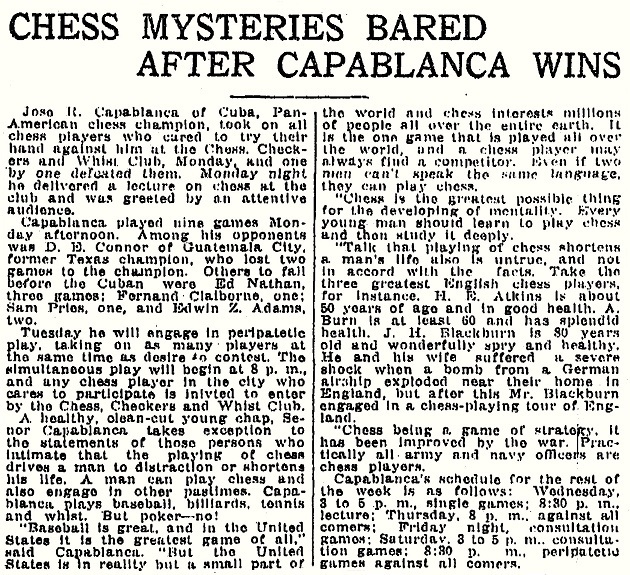 The third cutting above did not name Capablanca’s opponents in the display on 6 April 1915, in which the Ruy López game in C.N. 10739 seems to have been played. 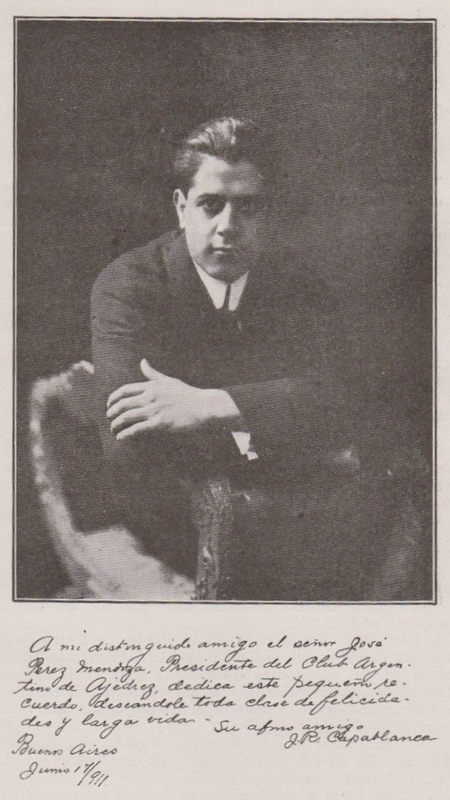 Mr Bauzá Mercére wonders whether the New York Tribune of 18 April 1915 misprinted Moise’s name as ‘Morse’. 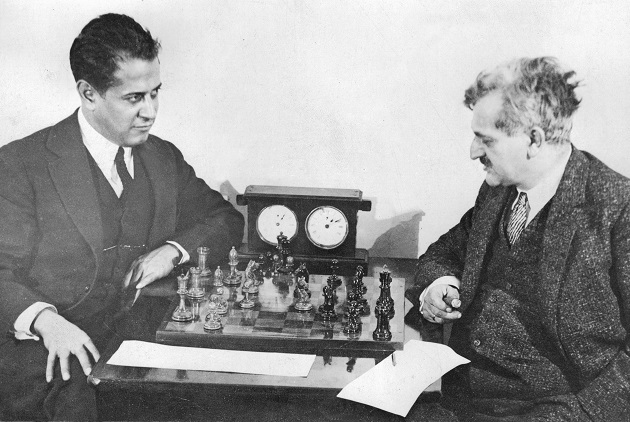 Moise was a prominent figure in New Orleans chess, and had other encounters with Capablanca. 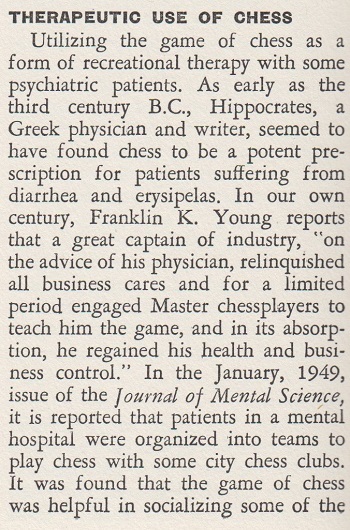 See, for instance, pages 69-70 of The Unknown Capablanca. 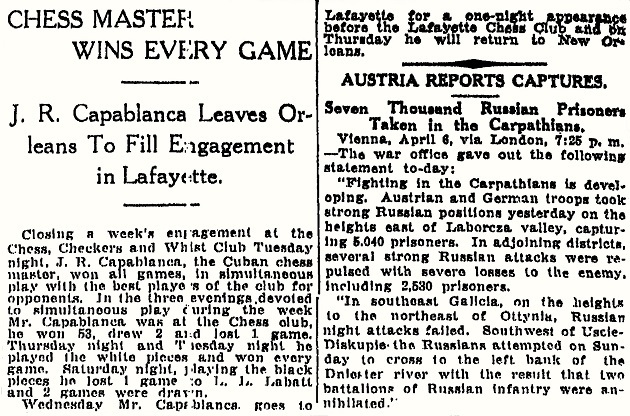 Our correspondent also refers to page 98 of the May-June 1916 American Chess Bulletin, which reported that in late April that year Capablanca won two simultaneous consultation games in New Orleans and that one of his opponents was P.S. [sic] Moise. 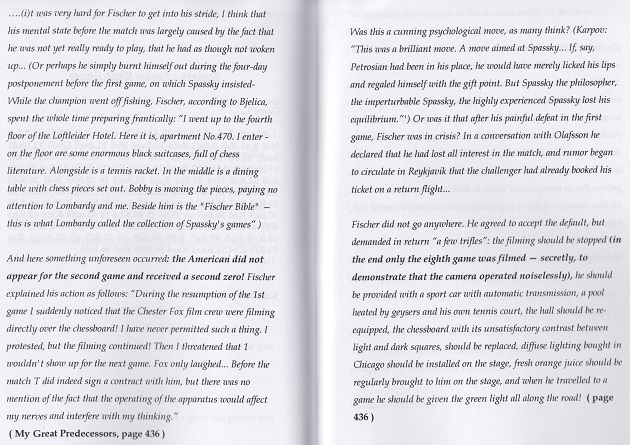 See too pages 144 and 188 of Endgame Magic by John Beasley and Timothy Whitworth (London, 1996). 31...g5 32 fxg5 fxg5 33 Qe5 a5 34 Qb8+ Kg7 35 Qe5+ Kg8 36 Qb8+ Drawn. 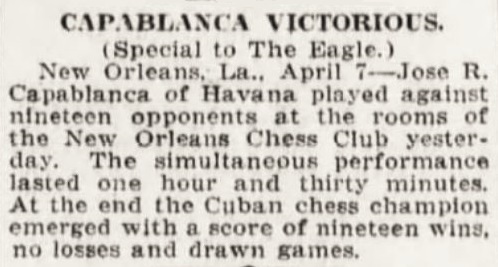 Another player, in addition to Aron Nimzowitsch and Philip Richardson, who was given the name ‘stormy petrel’ is noted by Avital Pilpel (Haifa, Israel): Israel Barav (Rabinovich) in the Palestine Post, 25 April 1945, page 2.